Collision coverage typically pays for damage to your vehicle if it is involved in a collision with another vehicle or if it hits an object. For example, if you swerve to avoid an object in the road and hit a tree, damaging your hood and bumper, collision coverage would take care of the repair costs – minus your deductible. Collision is an optional coverage and to include it on your policy, you must also purchase comprehensive coverage in your car insurance policy. Comprehensive coverage protects you against losses caused by covered events not related to a collision. These events often include storms and natural disasters, such as a tornado or a hurricane, falling objects, theft, vandalism, or animal damage. If the vehicle is stolen or a total loss, the maximum amount you would receive is the actual cash value of your vehicle, minus the deductible you have for comprehensive coverage. In order to purchase collision coverage, you must also purchase comprehensive coverage. If you lease or finance your car, your bank may require both collision and comprehensive coverage. Choose a deductible with an out-of-pocket cost that will not cause a hardship for you if you are involved in an accident. Many drivers think they carry “full coverage”, but full coverage doesn’t actually exist— it is a term often used to refer to the combination of state-required liability or no-fault insurance and collision and comprehensive coverage. There are a variety of different types of auto insurance coverage options you can add to enhance your level of protection. Coverages and limits may vary by state. 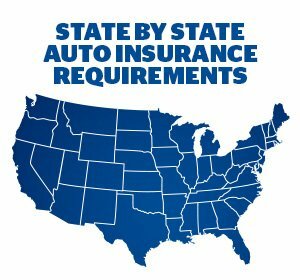 Check with a Freeway representative to find out what is available in your state. When you request an auto insurance quote from Freeway Insurance, you can compare auto insurance rates for multiple companies to find the policy that best fits your needs and budget. Request a free auto insurance quote online or by calling 800-777-5620 to find out how much you could be saving.